Nashville Tabletop Day 2017 was amazing. 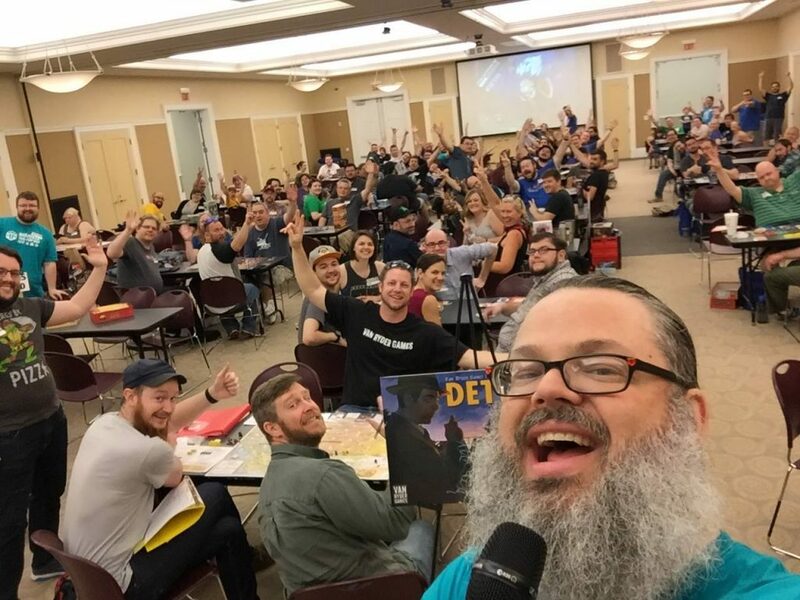 With over 300 people in attendance, and a waiting list of nearly 100 people, Nashville Tabletop Day was the largest Tabletop Day event in the world! We had free food, great sponsors, fantastic giveaways, and a top notch selection of games to play. Nashville Tabletop Day 2018 is April 28th! Nashville Tabletop Day 2018 is going to be even better! Meeple Mountain will again be hosting this event and it’s going to be bigger, and better than ever. More gaming choices, more sponsors, and a larger play area. Tickets will be available soon, so save the date! Stay tuned for more information as we do our best to make Nashville Tabletop Day the best Tabletop Day event in the world! If you’re interested in volunteering for this event, or becoming a sponsor for Nashville Tabletop Day, please contact Meeple Mountain for details. Hey your sign up for details form above isn’t working. After filling out info and hitting subscribe, nothing happens. Might just be my computer but not sure…. Hrm. I just tested the form and it works. It unfortunately doesn’t show a confirmation message (so that’s a bug), but it took the email I used to subscribe. Try again maybe? We’ll take a look at it regardless. Hmm, yes…I believe I clicked the subscribed button…but nothing appears to happen ?